Although the consciousness of death is, in most cultures, very much a part of life, this is perhaps nowhere more true than in Japan, where the approach of death has given rise to a centuries-old tradition of writing jisei, or the "death poem." Such a poem is often written in the very last moments of the poet's life. 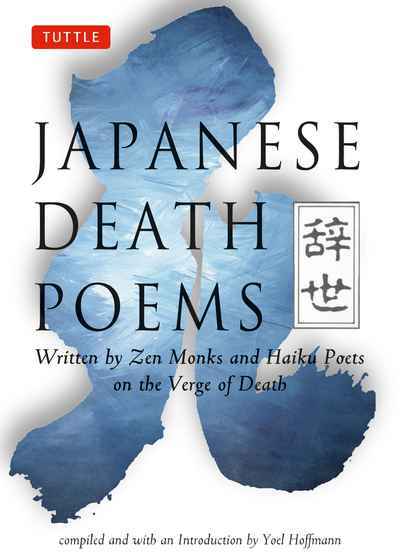 Hundreds of Japanese death poems, many with a commentary describing the circumstances of the poet's death, have been translated into English here, the great majority of them for the first time. Yoel Hoffmann explores the attitudes and customs surrounding death in historical and present-day Japan, and gives examples of how these have been reflected in the nation's literature in general. The development of writing jisei is then examined—from the poems of longing of the early nobility and the more "masculine" verses of the samurai to the satirical death poems of later centuries. Zen Buddhist ideas about death are also described as a preface to the collection of Chinese death poems by Zen monks that are also included. Finally, the last section contains three hundred twenty haiku, some of which have never been assembled before, in English translation and romanized in Japanese.